See more objects with the color olivedrab darkslategrey lightgrey darkkhaki darkolivegreen or see all the colors for this object. This is a Poster. It is dated 1970 and we acquired it in 2010. 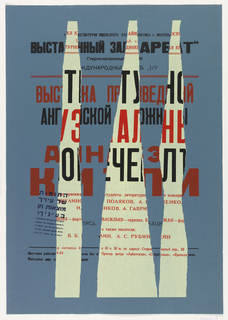 Its medium is offset lithograph on wove paper, mounted on linen. It is a part of the Drawings, Prints, and Graphic Design department. 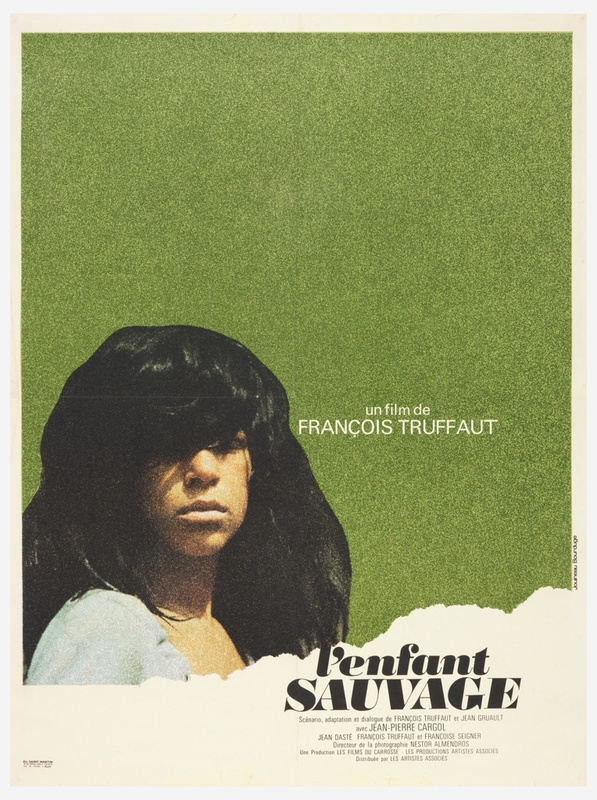 Movie poster artist Jouineau Bourduge depicted French film director Francois Truffant’s main character from L’Enfant Sauvage, a child who spent his early life in a forest with no human contact, in this poster for the film. The poster’s design incorporates torn edges and very little, simple text on a grass-green background to suggest the movie’s subject matter. Bourduge created many posters for French New Wave cinema, a significant, experimental movement from the late 1950s to the early 1960s.